Next week will be a very exciting and interesting one for all of us at the Robert and Carol Morris Center for 21st Century Music, as we will be hosting top tier musicians from all over the country. Mezzo-soprano Julia Bentley, conductor Gil Rose, and Pulitzer Prize-winning composer Bernard Rands will be visiting the University at Buffalo and converging for a concert with the Slee Sinfonietta on November 1st at 7:30 p.m.
Julia Bentley, who has previously performed at June in Buffalo, is a dizzyingly accomplished singer and voice teacher at the Music Institute of Chicago and has been featured as a soloist with orchestras led by Pierre Boulez, George Manahan, Raymond Leppard, Oliver Knussen, and Robert Shaw. She has taken on leading roles in several operas including Carmen and Rosina, as well as performed and premiered some of contemporary music’s most engaging and virtuosic works. 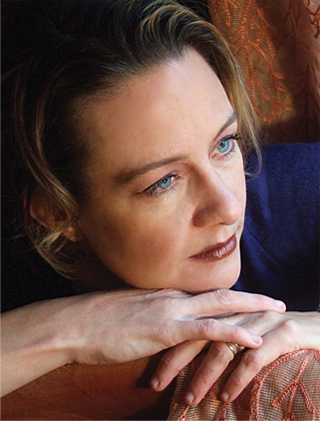 The New York Times recently gave a glowing review of her singing in Pierre Boulez’s Le Marteau sans Maître, stating, “The mezzo-soprano Julia Bentley brought rich sound, deep expressivity and an uncanny sense of pitch to the work's restless vocal lines, alive with sudden skips and spiky rhythms one moment, hushed and Impressionistic the next.” She will join the Slee Sinfonietta in Tuesday night’s concert in Lippes Concert Hall for an evening of works by Bernard Rands, Iannis Xenakis, Igor Stravinsky, and Nikos Skalkottas. 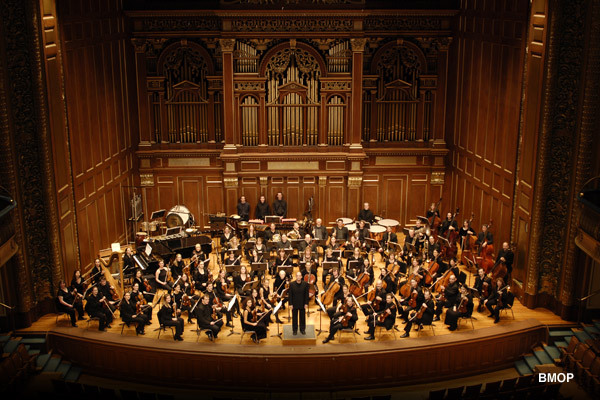 The concert will be conducted by Gil Rose, who in 1996 founded the Boston Modern Orchestra Project, one of the world’s leading professional orchestras dedicated exclusively to performing and recording music of the twentieth and twenty-first centuries. 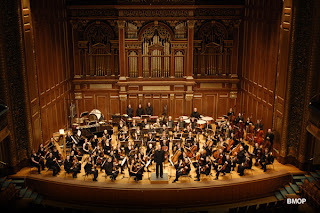 Throughout his tenure as the music director of the BMOP, Gil has received numerous awards from Columbia University and ASCAP, among others, as well as worked laboriously to record an extensive discography of world premieres by Louis Andriessen, John Cage, Robert Erickson, Lukas Foss, John Harbison, Lee Hyla, David Lang, Tod Machover, Steven Mackey, Bernard Rands, George Rochberg, Elena Ruehr, Gunther Schuller, Reza Vali, and Evan Ziporyn on such labels as Albany, Arsis, Cantaloupe, Chandos, ECM, Innova, Naxos, New World, and BMOP/sound, the Grammy-nominated label for which he serves as Executive Producer. His recordings have appeared on the year-end "Best of" lists of The New York Times, Time Out New York, The Boston Globe, Chicago Tribune, American Record Guide, NPR, and Downbeat Magazine (learn more about Gil Rose and the BMOP here). Below is a video of Bernard Rands discussing the tumultuous life of Vincent van Gogh, his captivating works as a painter, and their effect on Rands and his opera.